On the Pacific front during World War II, strange messages were picked up by American and Japanese forces on land and at sea. The messages were totally unintelligible to everyone except a small select group within the Marine Corps: the Navajo code talkers-a group of Navajos communicating in a code based on the Navajo language. This code, the first unbreakable one in U.S. history, was a key reason that the Allies were able to win in the Pacific. 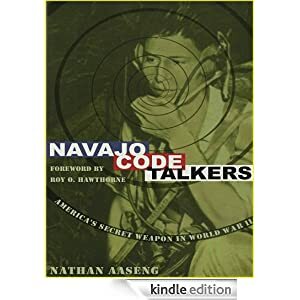 Navajo Code Talkers tells the story of the special group, who proved themselves to be among the bravest, most valuable, and most loyal of American soldiers during World War II. 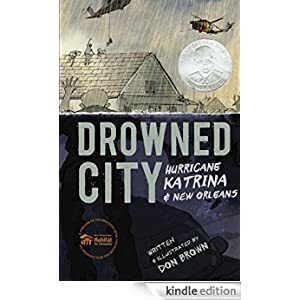 This true story is for readers in grades 5-7 and is selling for just 99 cents today. 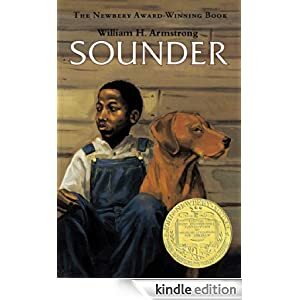 Matt Cruse is a cabin boy on the Aurora, a huge airship that sails hundreds of feet above the ocean, ferrying wealthy passengers from city to city. It is the life Matt’s always wanted; convinced he’s lighter than air, he imagines himself as buoyant as the hydrium gas that powers his ship. One night he meets a dying balloonist who speaks of beautiful creatures drifting through the skies. It is only after Matt meets the balloonist’s granddaughter that he realizes that the man’s ravings may, in fact, have been true, and that the creatures are completely real and utterly mysterious. Buy this swashbuckling adventure for $1.99 today. Suitable for grades 6-10. London, 1838. Sixteen-year-old Liza’s dreams of her society debut are dashed when her parents are killed in an accident. Penniless, she accepts the position of lady’s maid to young Princess Victoria and steps unwittingly into the gossipy intrigue of the servant’s world below-stairs as well as the trickery above. Is it possible that her changing circumstances may offer Liza the chance to determine her own fate, find true love, and secure the throne for her future queen? 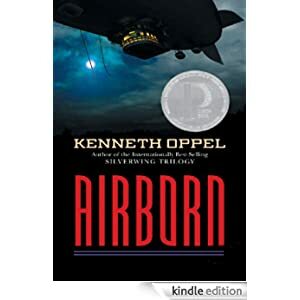 Meticulously based on newly discovered information, this riveting novel for readers in grades 7-12 is rich in historical detail and is selling for just 99 cents today. Thirteen-year-old Lonzo knows that Papa thinks he’s slow compared to his brothers. 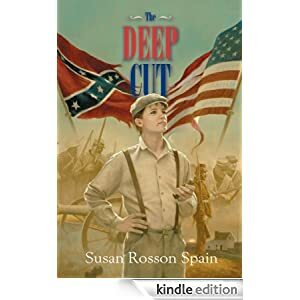 When the Civil War breaks out and throws Culpeper, Virginia, into chaos, Papa sends Lonzo to live with his aunt Mariah on the other side of the Deep Cut, the railroad gorge that runs through the rocky hills south of Culpeper. Meanwhile Lonzo’s best friend and protector, cousin Ferdy, secretly enlists in the Confederate army. 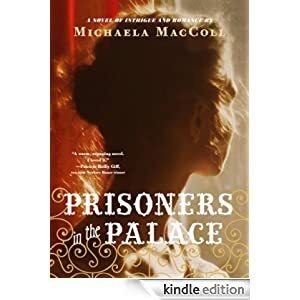 Feeling abandoned by the two most important males in his life-his father and cousin—Lonzo struggles to understand war, especially when it comes roaring into his aunt’s inn. Yankee raids, battles, and enemy occupation test Lonzo in a way he’s never been tested before. Finally, in a rare act of bravery, he proves to his father that he’s every bit as competent as his brothers. But in the end, regardless of his father’s expectations, Lonzo has discovered his own sense of self-worth. 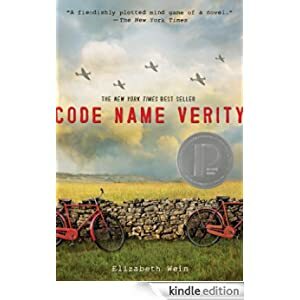 This historical novel is for readers in grades 6-8 and is selling for only 99 cents today. 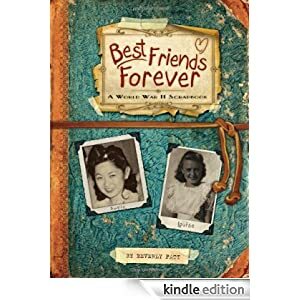 German-American Louise Kessler, 14, starts a scrapbook when her best friend, Dottie Masuoka, leaves for the Japanese internment camps. Louise’s scrapbook includes items from her life “on the home front” as well as Dottie’s letters and drawings from the internment camp. Together, their intertwined stories tell of a friendship that even war cannot tear apart. This historical novel is for readers in grades 5-8 and is selling for only 99 cents. 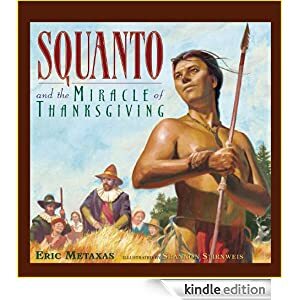 Readers ages 5-10 will learn the story of Squanto in this book selling today for only 99 cents. NOTE: Great book! 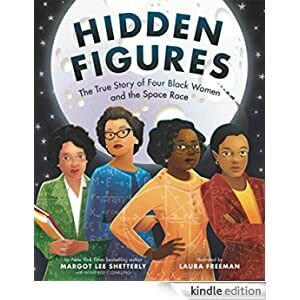 This Kindle Fire book is for ages 4-8 and is selling for $1.99 today.